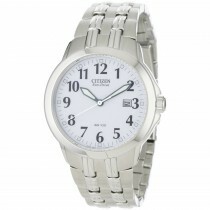 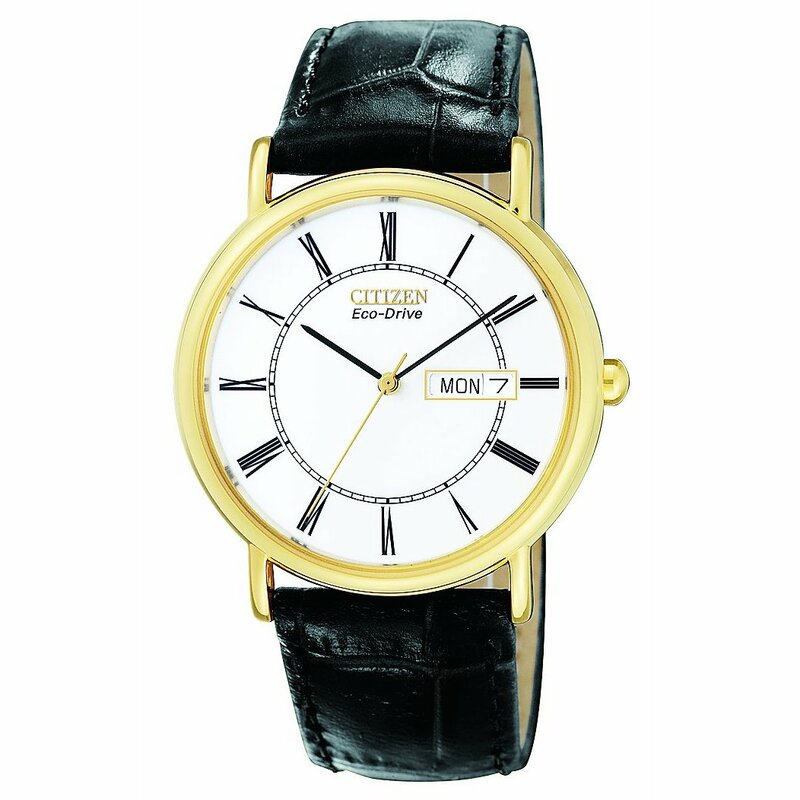 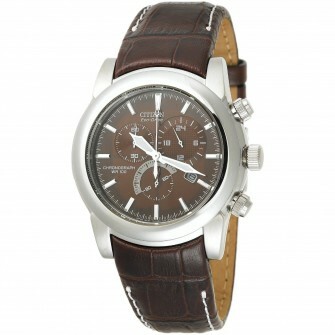 This Citizen Gents watch has Citizen eco drive so it never requires a battery. 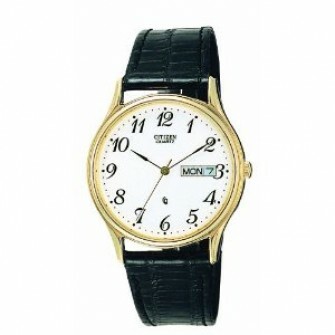 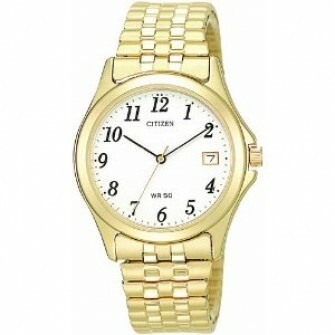 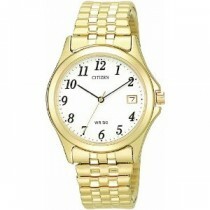 This watch has a gold plated stainless steel case with a white dial and day/date display. It also has a black leather strap.